Cold justice unmingled with mercy is not truly just. Likewise, a weak mercy without justice to give it strength, is not truly merciful. It is in blending the two together that perfect justice is achieved. The perfect blending of divine Love and Justice is demonstrated even in the punishment of the wicked. Yahuwah is a lover of freedom. He guarantees freedom of choice to all His created beings. Those who continue to side with the Great Rebel, Satan, will not be forcibly taken to Heaven against their will. Instead, they will receive their reward with Satan in the Lake of Fire. There is much misunderstanding about the punishment of the wicked in the Lake of Fire. Most people assume that the Lake of Fire spoken of in Scripture is a symbol for an eternally burning hell. The reference to “the smoke of their torment” ascending up “forever and ever” has led many to believe that the divine punishment for sin is to consign the soul to burn in hell forever and ever. However, this interpretation of the text is not consistent with the rest of the Bible. Scripture must always be its own interpreter. Only then can a true and consistent understanding of “hell” be found. Few lies of Satan have done more damage or led to the loss of more souls than the lie that Yahuwah punishes sinners in an eternally burning hell. It is not just that the sins committed in a single lifetime should be punished with eternal and unending torment. Even human justice is appalled at such injustice. This doctrine is a reflection of Satan’s character; not Yahuwah’s. Multitudes have been led to reject the loving, merciful Creator when taught that divine justice makes such a demand. Scripture teaches that the wages of sin is death, not eternal life in torment. Eternal life is a gift given only to the redeemed – those who, through repentance and forgiveness, have brought their lives into conformity to the divine law. All who persist in rebelling against the divine government receive sentence of eternal death. The ultimate punishment is death from which there is no resurrection. Even in human courts, death is viewed as the worst form of punishment fitting only the greatest crimes. “The smoke of their torment ascendeth up forever and ever” is a reference to the fact that the lost are dead, not burning. A very hotly burning fire does not smoke. Only a fire that is about to go out, or that has already gone out, produces smoke. 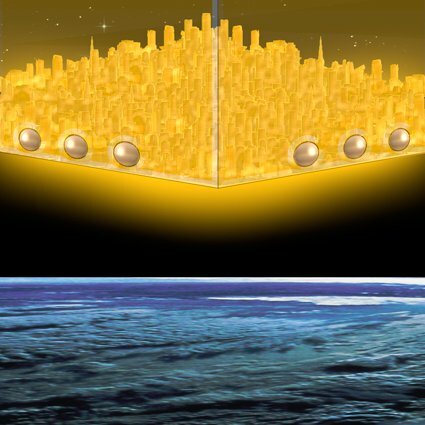 When the millennium in heaven is over, Yahuwah will move the New Jerusalem, the seat of the divine government, down to earth. The New Jerusalem is to be the eternal home of the redeemed. At that time, after the holy city has been brought to earth, the wicked dead will be raised back to life to receive their punishment on the earth. During the millennium in heaven, Satan and his evil angels have been bound to this earth. After the power of Yahuwah raises the wicked, Satan goes forth to again tempt and deceive those who have rejected salvation. During the millennium, all Satan has been able to do is to look with fear and foreboding to his ultimate destruction in the Lake of Fire. Once the wicked have been raised back to life, however, his hopes revive. He again deceives the nations of the earth, repeating to them his age-old lies. Satan presents himself to them as the rightful owner of the earth and the beautiful city, glistening in all its splendor before their very eyes. The vast, unnumbered multitudes of the wicked believe his lies and unite with him in one great, final battle. According to Scripture, the wicked, led on by Satan and his hosts of evil angels, surround the holy city and prepare to battle against it. This last act of rebellion is cut short when Yahuwah sends fire down from heaven. It does not spring up from hell, as many imagine. Rather, like the fire and brimstone that rained down on Sodom and Gomorrah of old, fire rains down out of heaven upon Satan and his followers and they are consumed. To our merciful and loving Creator, punishment is a strange work. It is contrary to His very character. However, He will not force anyone to be saved against his will. All who persist in aligning themselves with the great rebel, Satan, will meet their destruction in the Lake of Fire with the leader they have chosen. “For, behold, the day cometh, that shall burn as an oven; and all the proud, yea, and all that do wickedly, shall be stubble: and the day that cometh shall burn them up, saith . . . [Yahuwah] of hosts, that it shall leave them neither root nor branch. Ashes are what are left after a fire has gone out. Satan, his evil angels, and all who have chosen to follow his leadership will be at last consumed in the Lake of Fire. No eternally burning hell will keep before the righteous the fearful consequences of sin. After sin and sinners are destroyed, the long-held dream of the Father and the Son is realized with the recreation of the earth. “For, behold, I create new heavens and a new earth: and the former shall not be remembered, nor come into mind. But be ye glad and rejoice for ever in that which I create: for, behold, I create Jerusalem a rejoicing, and her people a joy. “And I will rejoice in Jerusalem, and joy in my people: and the voice of weeping shall be no more heard in her, nor the voice of crying . . . The earth, cleansed by the Lake of Fire, recreated by the loving hand of Infinite Love, will be the eternal home of the saved and the seat of government in the Kingdom of Love. “And the years of eternity, as they roll, will bring richer and still more glorious revelations of . . . [Yahuwah] and of . . . [Yahushua]. As knowledge is progressive, so will love, reverence, and happiness increase. The more men learn of . . . [Yahuwah], the greater will be their admiration of His character. As . . . [Yahushua] opens before them the riches of redemption and the amazing achievements in the great controversy with Satan, the hearts of the ransomed thrill with more fervent devotion, and with more rapturous joy they sweep the harps of gold; and ten thousand times ten thousand and thousands of thousands of voices unite to swell the mighty chorus of praise. . . .